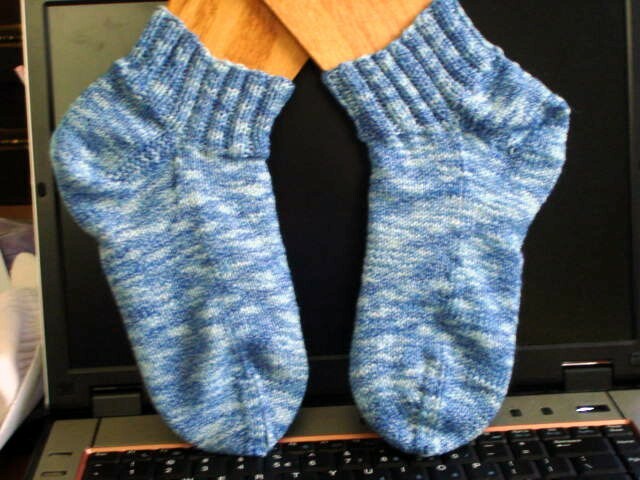 Here is my contribution for July, plain vanilla sport socks made from Plymouth Sockotta, a wool/cotton/nylon blend. This is the first pair I have ever made using a cotton blend, and I really like the way they feel on my feet. I knit these top down on size 2.0mm Knit Picks fixed circulars. No stitch pattern here, just the yarn doing whatever it does. See you all next month! May and June socks are coming!